Ok, maybe they haven’t changed the world as such but, in their own unique way, each of these stunning timepieces has had a very big impact on the world of watchmaking. Whether it’s the events surrounding their construction, the feats of human ingenuity they commemorate, or the pioneering technology they showcase, each of these watches has a very special story to tell. 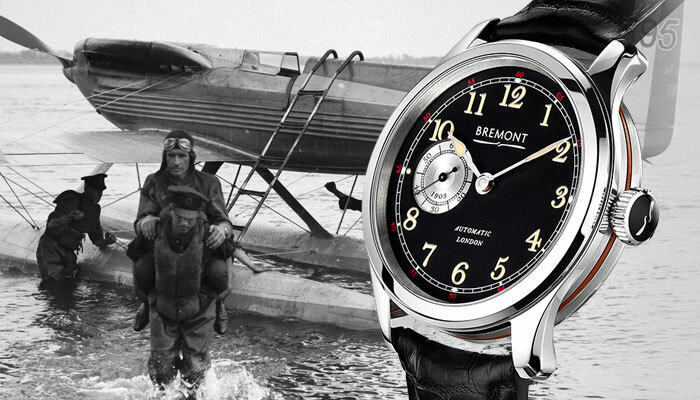 The ultimate aviation watch, this Limited Edition Bremont Wright Flyer incorporates original fabric used on the 1903 Wright Flyer aircraft and showcases Bremont’s first ever proprietary movement. Part-developed and designed in Britain, the BWC/01 automatic movement represents Bremont’s first steps towards manufacturing movements in their entirety on these shores. Featuring a bi-directional winding mechanism which achieves over 50 hours power reserve and a remarkable 28,800bph, the Bremont Wright Flyer is elegant and beautifully finished as well as extremely precise. Limited to just 300 pieces, the 43mm stainless steel case with Trip-Tick construction is fastened with a black alligator strap with pin buckle. Scratch resistant sapphire crystal covers the black metal dial decorated with period numerals and exclusive ‘1903’ sub-dial, whilst the BWC/01 automatic movement is visible through the exhibition caseback, allowing a glimpse of the muslin from the 1903 Wright Flyer aircraft layered between the period decorated rotor plate and its sapphire crystal window. 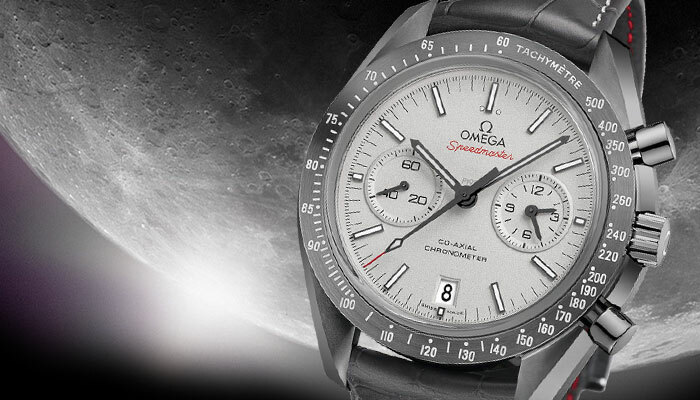 On the 1st March 1965, Omega’s Speedmaster chronograph was flight qualified by NASA for all manned space missions. Paying homage to the Speedmaster Professional chronographs worn by every Apollo astronaut, this remarkable watch is a product of groundbreaking technologies, designed to evoke the mysteriousness and allure of space. An innovative addition to the Speedmaster collection, its 44.25mm grey ceramic case is bold and imposing, whilst the sand-blasted platinum dial with three chronograph counters, Moonwatch style hands and ceramic bezel with tachymetric scale illuminated with white Super-LumiNova adds to its authentic sense of style. Standing shoulder to shoulder with its legendary predecessors, this iconic Speedmaster is powered by Omega’s Co-Axial Calibre 9300 automatic movement, which can be seen in action through the bevelled sapphire crystal caseback. 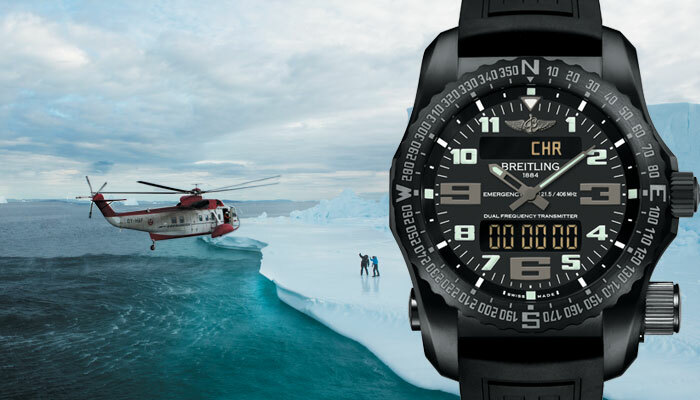 A technologically advanced companion for your most extreme missions, the Breitling Professional Emergency is an electronic multifunctional titanium chronograph which asserts itself as a safety and survival instrument for professionals and adventurers alike. The world’s first wristwatch with a built-in dual frequency Personal Locator Beacon, the Breitling Emergency serves both to issue alerts and to guide search and rescue missions. Featuring ultra-simple handling, the beacon is capable of transmitting at a temperature of -20°C and is fitted with a revolutionary rechargeable battery. Presented on a volcano black rubber strap, the 51mm titanium case has a bi-directional ratcheted rotating windrose bezel and is equipped with a SuperQuartz™ movement which is ten times more accurate than standard quartz. 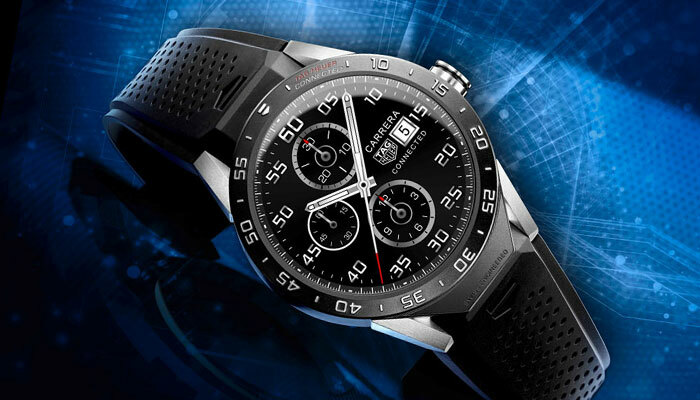 The TAG Heuer Connected watch represents the latest advancements in wearable technology and is a truly revolutionary timepiece. Working in partnership with Google and Intel, the Connected watch is built on the latest release of Android Wear, giving you access to up to 4,000 available apps at the touch of a button. Refusing to compromise on the iconic TAG Heuer aesthetics and capitalising on over 150 years of watchmaking know-how, Swiss craftsmanship is now fused with the unlimited power and potential of wearable technology. 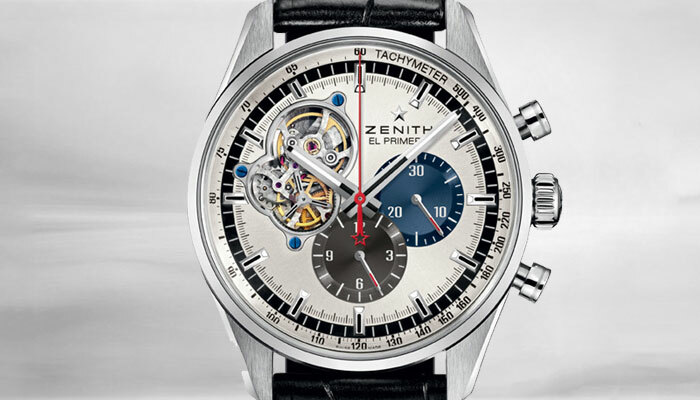 An idea so complex that it would take seven years to complete, in 1969 the Zenith El Primero movement became the world’s first automatic chronograph. Adding to its complexity, the movement was also designed as a fully-integrated unit and beat at a spectacular cadence of 36,000 vibrations per hour. Over 40 years on, the El Primero still holds the title as the most precise series-made chronograph, and the only one capable of measuring short times to the nearest tenth of a second. A masterpiece of horological engineering, we love the iconic style of this Zenith El Primero Chronomaster 1969 automatic chronograph. Designed to celebrate the historic 1969 model, the silver tone sunray dial features the distinctive open aperture, as well as the coloured chronograph counters which were unprecedented at the time and heralded a new aesthetic code amongst the trend for tone-on-tone dials. Water resistant to 100m, the sleek 42mm stainless steel case embodies the Zenith spirit of daring, authenticity and pleasure and is a perfect match for this legendary calibre. 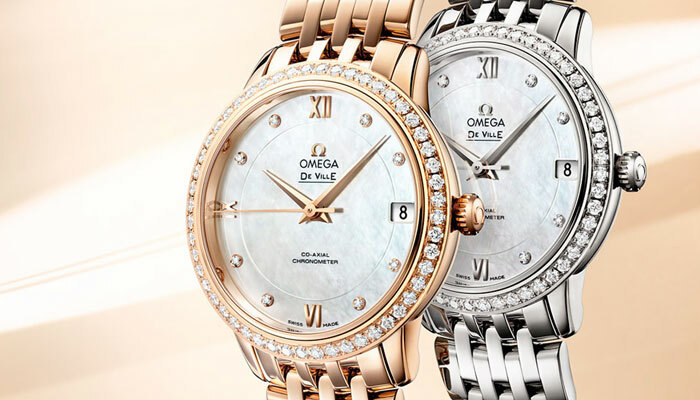 Launched in 1999 at the Baselworld fair, Omega’s first timepiece featuring their revolutionary Co-Axial escapement was a limited edition chronometer certified De Ville men’s watch. Considered by some to be one of the most significant advancements in watchmaking history since the invention of the lever escapement, the Co-Axial movement reduces friction and eliminates the need for lubrication which in turn maintains accuracy over a longer period and prolongs service intervals. Spread the cost of your dream watch with up to 4 years interest free credit. Our Watch Buying Guide will help you find the watch that’s perfectly right for you.